Our hero this week is Greg Hunter. 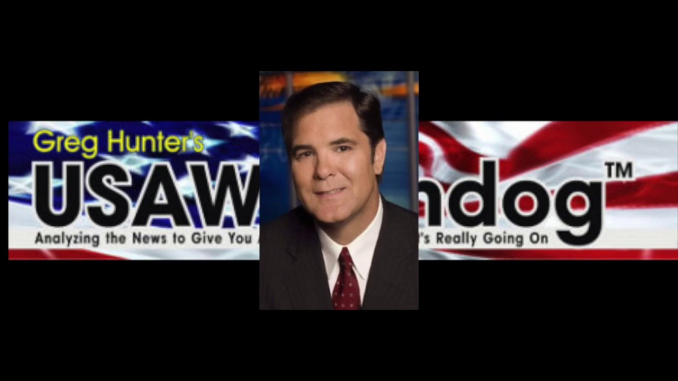 Greg Hunter has many years of network experience as a successful investigative correspondent. He worked for ABC News and Good Morning America for nearly 6 years, before starting USA Watchdog. His efforts to warn his audience about the approaching financial crisis were not appreciated by his corporate employers. Greg’s coverage of the $21 trillion missing money, the adoption of FASAB 56 and the role of corporate media in suppressing “the most important financial fraud in the history of the country” wins him the title “Solari Hero” and a place in the Missing Money Hall of Fame.